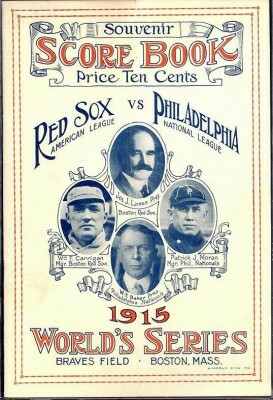 The Phillies made their first World Series appearance ever in October of 1915. Their opponents were the Boston Red Sox. It was a competitive Series, but one in which the Phils clearly choked. Three times the games entered the 9th inning tied. And three times the Red Sox pushed across the winning run in the 9th. The Phils rode their horse, Grover Cleveland Alexander, to a 3-1 Game One win at the Baker Bowl. They were able to win despite only getting 5 hits. In Game 2, Woodrow Wilson became the first ever President to watch a World Series game. He saw a good one, as the two teams entered the 9th inning tied. But in the 9th, Red Sox third bagger Larry Gardner reached 2nd and scored on a single by Rube Foster, who also threw a complete game 3-hitter to even the Series at 1-1. The two teams went to Boston to play Game 3. 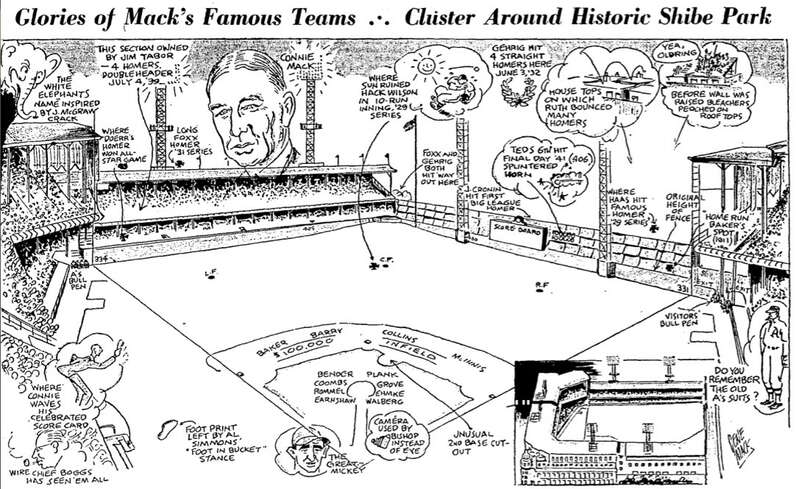 Since Braves Field had more seats than Fenway, the Sox decided to play on the home field of their National League counterparts. The Phillies continued to struggle at the plate. 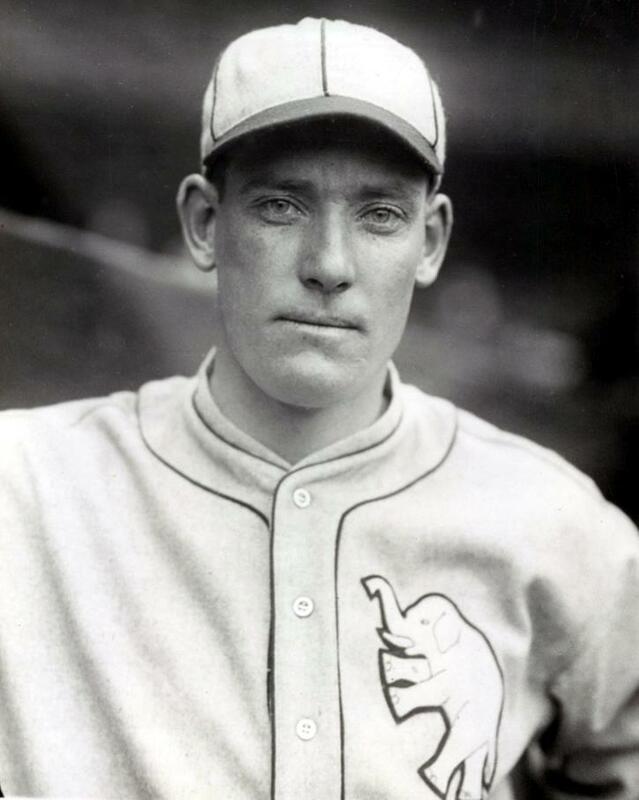 Dutch Leonard held the Phils to one run and three hits, and the two teams entered the bottom of the 9th tied. In the 9th, Harry Hooper led off with a single off Pete Alexander, and moved to 3rd with two outs. Duffy Lewis came to the plate. The Red Sox left fielder cracked a single into right, and the Red Sox had a walkoff win. In Game 4, the Phils’ frustration continued as they lost their 3rd straight game by a score of 2-1. The two teams headed back to Philly with the Sox ahead by a comfortable 3-1 margin. The Phils shot out to a 4-2 lead, which they took into the 8th, poised to get back into the Series. But Duffy Lewis played the hero again. After hitting 2 Homers in the regular season, he hit a two run blast to tie the game at 4. Then, in the top of the 9th, Harry Hooper hit a solo shot, and once again the Red Sox rode 9th inning heroics to a victory. 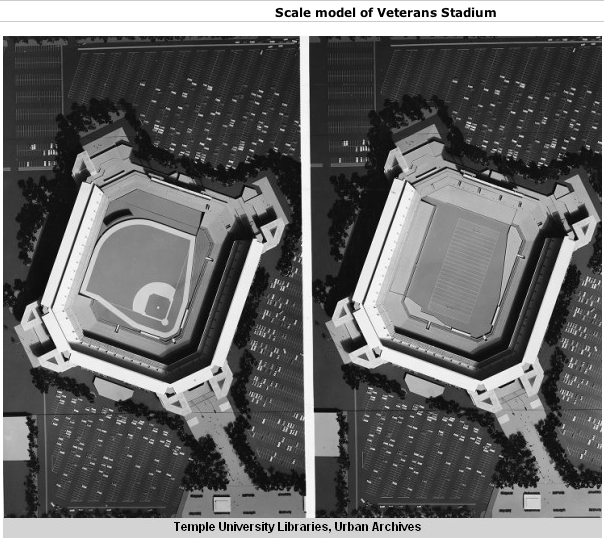 A few fun facts: Interestingly, these same two cities had met in the previous World Series. In 1914, the Boston Braves swept the Philadelphia A’s. 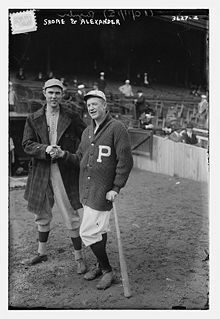 Game 1 of the 1915 Series would be the last World Series win for the Phillies until Game 1 of the 1980 World Series (They were swept by the Yanks in 1950). Babe Ruth played for the Red Sox in 1915, but he only made one appearance in the Series, as a pinch hitter. Not surprisingly, the A’s Historical Society has an excellent write up about the 1915 Phillies. After the jump are some cool photos from the 1915 Series. 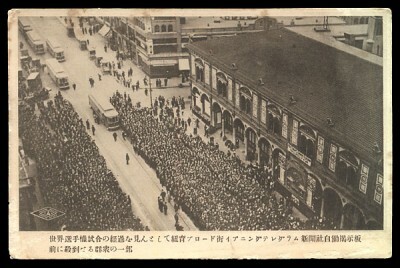 Picture of tens of thousands of people in front of the Philadelphia Telegraph newspaper office during one of the Series games. The Telegraph would post a play by play of the game as it came in from Boston, and post results on a giant board in front of their office. Photo of Game 1 starters Ernie Shore of the Red Sox (left) and Grover Cleveland Alexander. 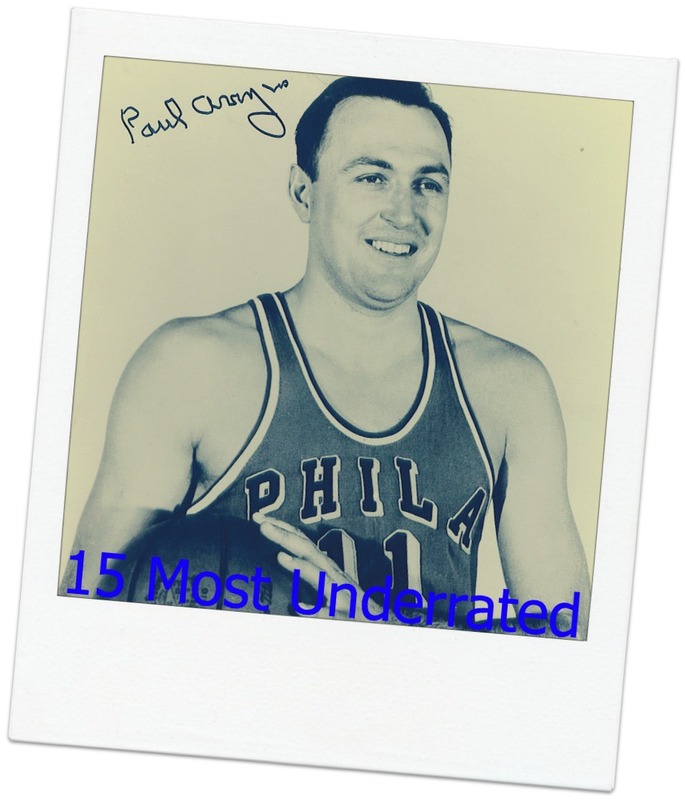 Pete Alexander was one of the most fascinating players in Phillies history, as he was a drunk, an epileptic, he was played by Ronald Reagan in a movie, and he was one of the finest pitchers ever to wear a Phillies uniform. We’ll have a bio on him soon. 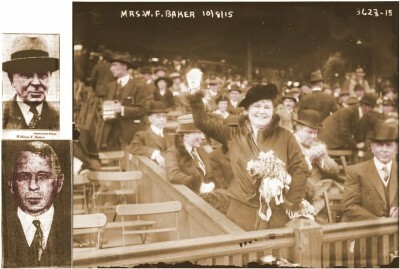 The wife of Phillies owner William Baker throws out the first pitch before Game 1. 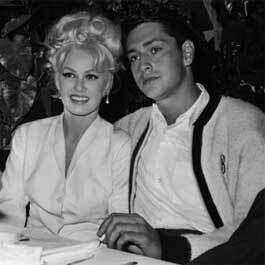 Baker was a tightwad jackass who once had an 11-year old kid thrown in jail for keeping a foul ball, but his wife looks like she was probably pretty nice. The Baker Bowl was named after William. 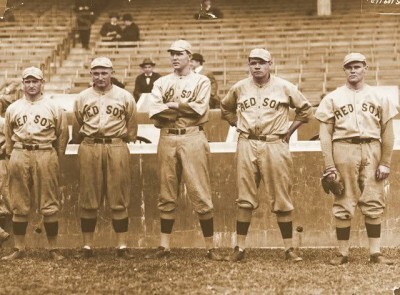 Just like him, it was a piece of sh*t.
From left to right: Rube Foster, Carl Mays, Ernie Shore, Babe Ruth, and Dutch Leonard. Foster was the winning pitcher in Games 2 and 5, Leonard won Game 3, and Ernie Shore lost Game 1 and won Game 4.